Whether or not you've used it, you've probably at least heard of the popular dating app Tinder. Tinder was a trailblazer in a number of ways, but one of the more unexpectedly popular things to come out of the app was actually a method of user interaction with the app itself. Users are presented with a sequence of potential matches, and they can 'swipe right' to indicate a potential attraction or 'swipe left' to indicate disinterest. This has given rise to a number of references in popular media of late, but it's also catching on in the wider world of app development. Maybe that should be 'in the Wydr world of app development', actually, since that's one of the signature features of the new app designed specifically for art buyers. Wydr incorporates the now-popular swipe method of interaction in the way you'd expect. Users are shown a series of art pieces and swipe left or right to indicate their feelings about a piece, and gradually the service develops a profile of the type of work they like. At the same time, it's building a popularity rating for the piece itself as well as the artist, which is then fed back into the database to help determine what will be shown next. “Our user is a typical Gen X/Y who wants to decide for himself what to like! 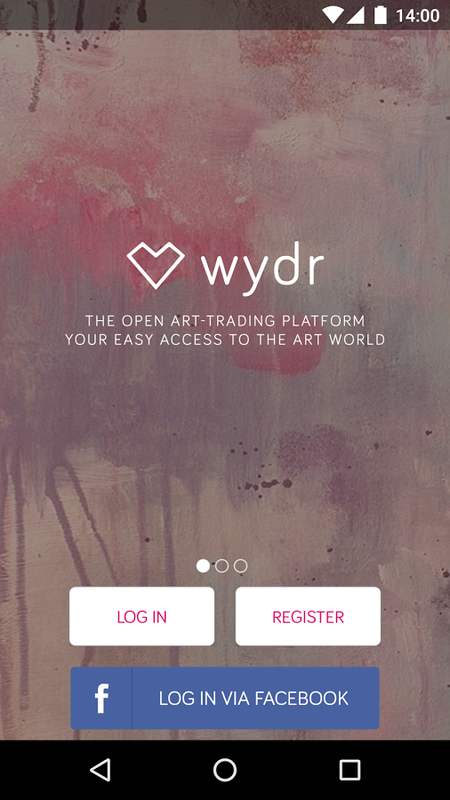 Wydr changes how people interact with art. No curator, as all artworks are community curated. Artists get feedback on what users like, and users see what’s hot," explained co-founder Matthias Dörner in an interview with popular tech blog TechCrunch. As they say: Art Galleries are for the 1%, wydr is for the 99%. The app only launched at the beginning of 2016, but it's already received quite a bit of attention from artists and buyers the world over. Wydr claims to have an active monthly user count of over 10,000, which isn't too shabby for the first six months of activity. Naturally the service will grow in utility as it grows in terms of the artists it represents and the more it learns about user taste, so we'll likely be hearing from them again in the near future. If you're interested in submitting your own work to be sold through the app, you should know that they charge a whopping 30% commission on pieces sold, but they also help to subsidize shipping costs. This might not seem like much, but the cost of safely shipping a unique piece halfway around the world can quickly mount up.